As a competent Real Estate Consultant, we offer a host of services to clients who are interested in a property deal. Our core competency lies in assisting clients in Buying Property, Selling Property and Renting/Leasing Property. We also assist clients in finding suitable Paying guest accommodations in Pune. We have a well established network of property associates with whose help we find different property options required by the clients. We can cater to all kinds of property requirements whether a client is interested in Residential Property, Commercial property, Industrial Property or Agricultural Property. 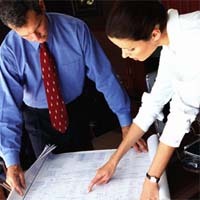 As a reliable Real Estate Consultant, our focus is on providing end to end solutions to clients. Dream Homes is a fast-growing Real Estate Agent in Pune, offering comprehensive realty services in the interest of clients. Our Pre-Lease properties are ideal for Banks, ATM, International Schools, IT Companies, etc., as the location of these properties assures high return on investment. Pre-Leased Property provides fixed income to the investors and offers a high rental yield than residential property. There is a healthy demand of IT and BFSI segments as compared to residential properties. We, at Dream Homes, act as a bridge between clients ensuring that both parties are at maximum profit. We provide a return on investment of 8% to 11% to the investors. Dream Homes is emerging as a competent Real Estate Agent in Pune, offering Build to Suit Office Space Services in the interest of clients. We have tie-ups with well-known Builders and can Build To Suit IT Companies, Hotels, International Schools, Colleges, Hostels, Residential/Commercial premises, etc. Our Build to Suit Office Space Services ensure maximum profit to both parties. We act as an ideal channel between clients in order to serve both partiesâ�� requirements. Build to Suit Office Space Services offered by us can be availed at nominal charges.